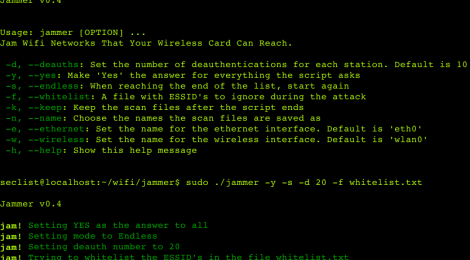 Browse: Home / jammer – Jam Wifi Networks That Your Wireless Card Can Reach. 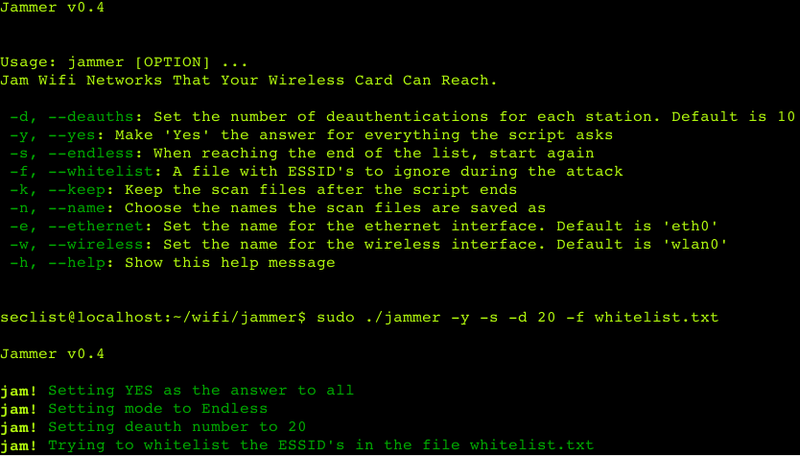 jammer is A Bash script to automate the continuous circular deauthentication of all the wifi networks in your reach. Keep in mind that it is generally illegal to use the script at your neihborhood, It is designed for pen-testing purposes. + all linux platform support. ← MARA v0.2.2 – is a Mobile Application Reverse engineering and Analysis Framework.